OPIC President and CEO Ray Washburne discusses the transformation of the agency with Meridian President and CEO Ambassador Stuart Holliday. Photo by James O’Gara. 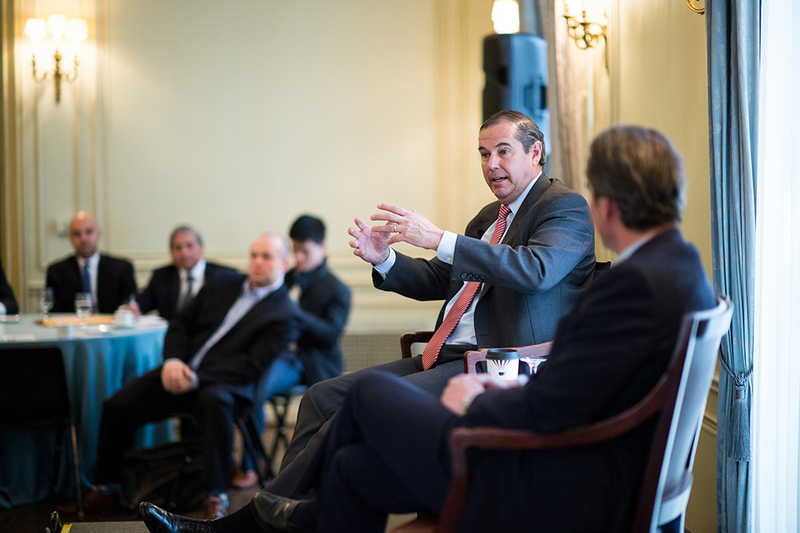 "Good ideas are the main priority," said Overseas Private Investment Corporation (OPIC) President and CEO Ray Washburne at an Insights @ Meridian briefing for senior foreign diplomats. President Trump signed the Better Utilization of Investments Leading to Development (BUILD) Act into law in October, which will reorganize OPIC into a $60 billion agency, increasing the breadth and flexibility of OPIC’s investment involvement in target regions around the world. Forty ambassadors and chiefs of mission listened in rapt attention on January 17th to the fireside chat between Meridian President and CEO Ambassador Stuart Holliday and Ray Washburne. Regarding its mission, OPIC is a federal agency that addresses development challenges related to funding allocation and foreign policy priorities of the United States. Washburne offered detailed, specific examples of OPIC’s investments in many of the countries represented to illustrate their immense bandwidth and impact. 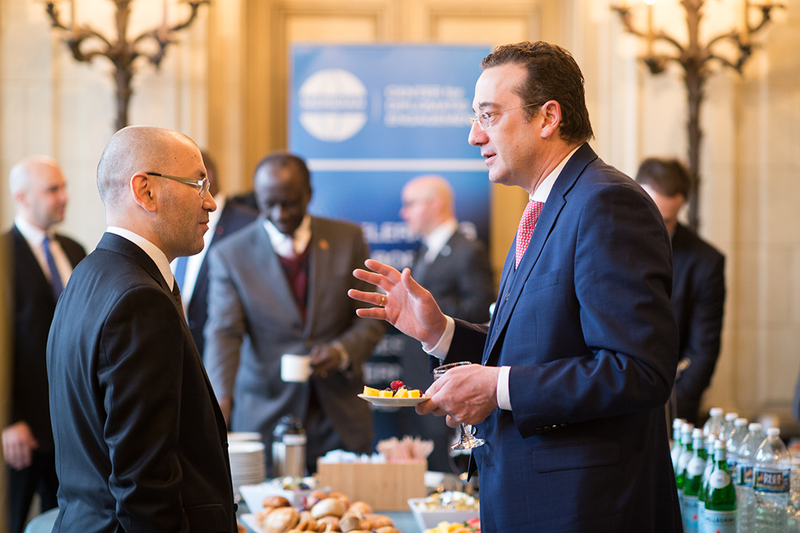 Washburne asserted that that OPIC’s impact can be felt across the globe: they currently fund 800 projects in 100 countries, several of which were represented in the room during the fireside chat. OPIC has worked to bring the cost of borrowing down to a reasonable level in order to further their goal of private sector job creation. Washburne discussed how OPIC applies its human rights and women’s empowerment mission through requiring that 20% of their loans must be distributed to women-owned businesses. When asked about what some priorities for OPIC, Washburne designated environmental impact as another priority high on OPIC’s list. In fact, he said, they are the largest investor in renewable energy across the globe. One distinguishing characteristic of the projects that OPIC funds, Washburne pointed out, is that OPIC loans solely to entities that are at least majority privately-owned. This subject was discussed at length between ambassadors and Washburne. The future funding agency created by the BUILD Act, the U.S. International Development Finance Corporation (USFDC), will maintain this requirement. Focusing on the changes that he has made since he began leading OPIC in August 2017, Washburne highlighted the decreased time to secure a loan. He had identified this as a priority and has compressed the time it takes to apply for and receive a loan, from 18 to five months, by anticipating roadblocks a borrower will have during the process. Ambassadors had the opportunity to express interest in pursuing further conversation with OPIC regarding their involvement in various projects related to their countries’ individual needs. OPIC seeks new projects that have a positive environmental and human rights impact and are majority privately-owned. Ambassadors expressed gratitude for the work that OPIC is doing in their regions and eagerly brainstormed future partnerships for the betterment of their communities. This event was hosted as part of the Meridian Center for Diplomatic Engagement’s Insights @ Meridian initiative, which is designed to provide ambassadors and other senior diplomats with an intimate opportunity to hear directly from Administration leaders, members of Congress, and business visionaries on vital policy issues of the day, furthering the mission of the newly-formed Center for Diplomatic Engagement. 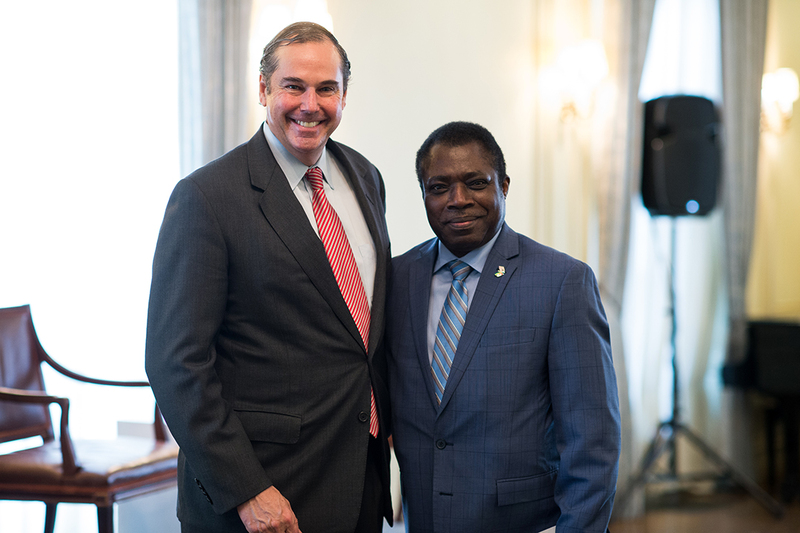 His Excellency Frederic Edem Hegbe of Togo poses with OPIC President and CEO Ray Washburne following the fireside chat. Photo by James O’Gara. 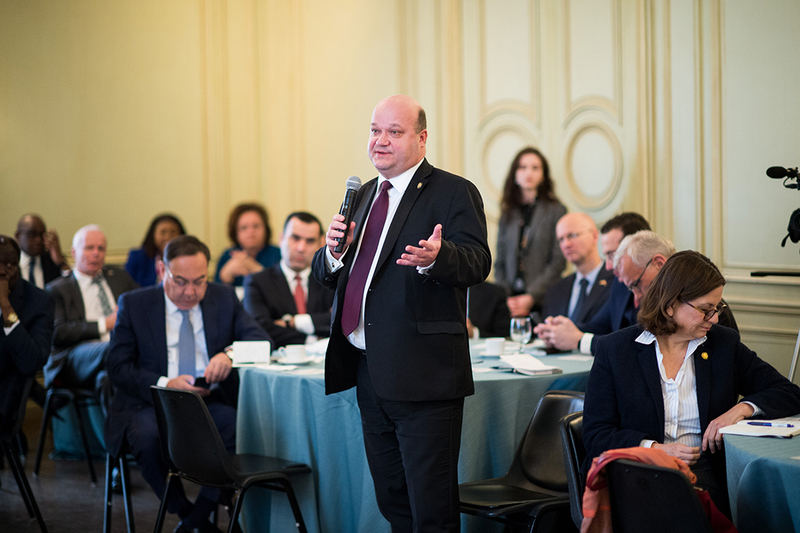 His Excellency Valeriy Chaly of Ukraine participates in the lively discussion during the fireside chat. Photo by James O’Gara. 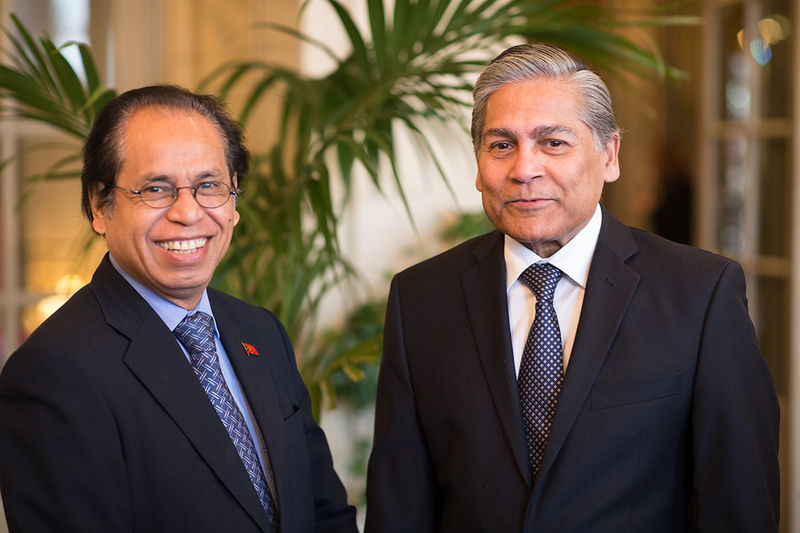 His Excellency Domingo Alves of Timor-Leste (Left) mingles with His Excellency Mohammad Ziauddin of Bangladesh (Right) before the session begins. Photo by James O’Gara. 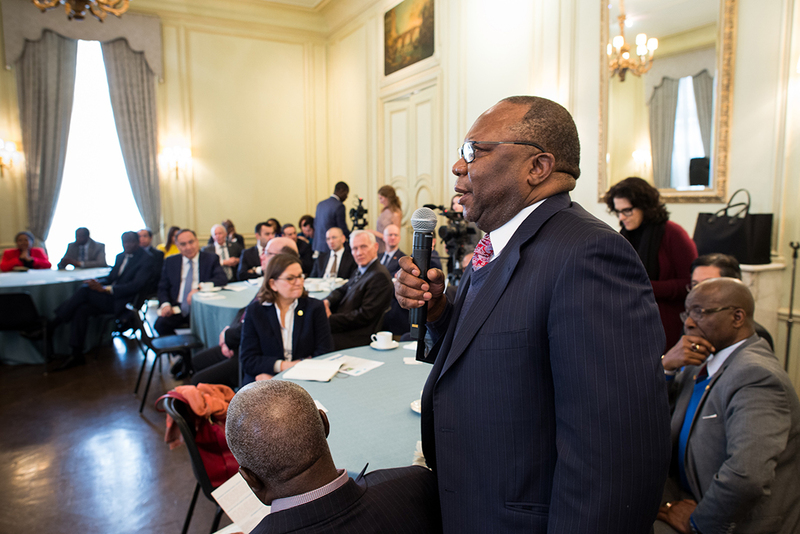 His Excellency Mninwa Mahlangu of South Africa discusses potential projects and partnerships during the question and answer session with Washburne. Photo by James O’Gara. His Excellency Javlon Vakhabov of Uzbekistan (Left) converses with His Excellency David Bakradze of Georgia (Right) prior to Washburne’s presentation. Photo by James O’Gara. 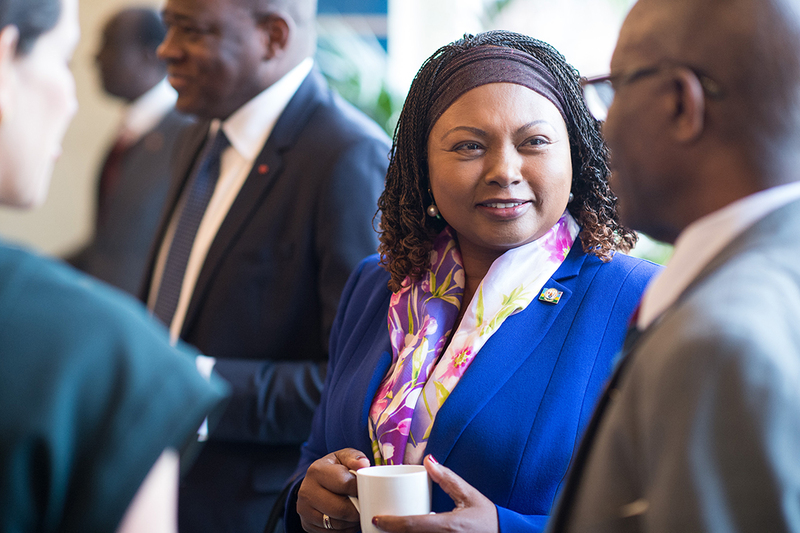 Her Excellency Mathilde Mukantabana of Rwanda enjoys a cup of coffee as she socializes with other attendees. Photo by James O’Gara.